As everyone likely knows by now, former Stardom wrestler Kairi Hojo joined WWE last month, and is currently taking part in the Mae Young Classic. When joining WWE she also changed her ring name, from Kairi Hojo to Kairi Sane. There are plenty of resources around the Internet to help people get to know Kairi Sane better, but with all the buzz about her I figured it would be best to put all the content I have into one place. Unlike many of her fellow wrestlers, Kaori Housako did not grow up dreaming of becoming a superstar in the squared circle. In fact, after being nationally recognized in yachting she wanted to be an actress, which is how she was discovered by Stardom. Fuka began training Housako in 2011, and due to her lack of background in any combat sports it took some time for her to make her in-ring debut. She finally did so on January 7th, 2012, becoming “Pirate Princess” Kairi Hojo at the age of 23. Stardom was a brand new promotion that had just formed in 2011, so with so many debuting wrestlers the famous “brass ring” was up for anyone to take. For her first several years in wrestling, Kairi Hojo had more success as a tag team specialist than a singles wrestler, with her first title win coming with classmate Natsumi Showzaki. After Natsumi retired, Kairi started teaming with Nanae Takahashi, and she would go on to win the tag team titles a second time. She still had difficultly having success on her own, however, as through early 2015 she was 0-2 in attempts to winning any singles championships in the promotion. Sometimes, doors open that no one saw coming, and that is what happened with Kairi Hojo. By early 2015, she was starting to come together as the total package, with her in-ring work improving and the crowd really getting behind her. She had a special emotional connection with the crowd that was undeniable, and with her Diving Elbow Drop she was finally making waves. That alone however wasn’t enough, as on the Stardom pecking order Kairi Hojo still had a ways to go to reach the top of the promotion. Things very suddenly changed however in 2015, when an unfortunate incident between Yoshiko and Act Yasukawa turned Stardom upside down. This lead to the departures of Nanae Takahashi, Act Yasukawa, and Yoshiko – three wrestlers that were above Kairi in ranking. Later that same year, young wrestlers Hazuki, Koguma, and Takumi Iroha left also, and suddenly the reins of Stardom were up for grabs. The situation around what led to Kairi getting this opportunity was very unfortunate, but Kairi wasn’t going to let it pass her by as she seized the chance and ran with it. Just one month after the infamous incident between Yoshiko and Act, Kairi Hojo won the World of Stardom Championship from Io Shirai, officially beginning her run as one of the most popular and successful wrestlers in Stardom. In 2015, Kairi was still fairly early in her career, and she had mostly been competing against the same wrestlers. This helped build chemistry but may have stunted her overall growth as wrestling against a variety of styles is what helps wrestlers grow as performers. Stardom found a solution to that – Meiko Satomura. Meiko Satomura was not only a legendary wrestler and trainer but was one of the best wrestlers in the world in 2015 (still is today), and she had a big part in elevating Kairi up to the next level. 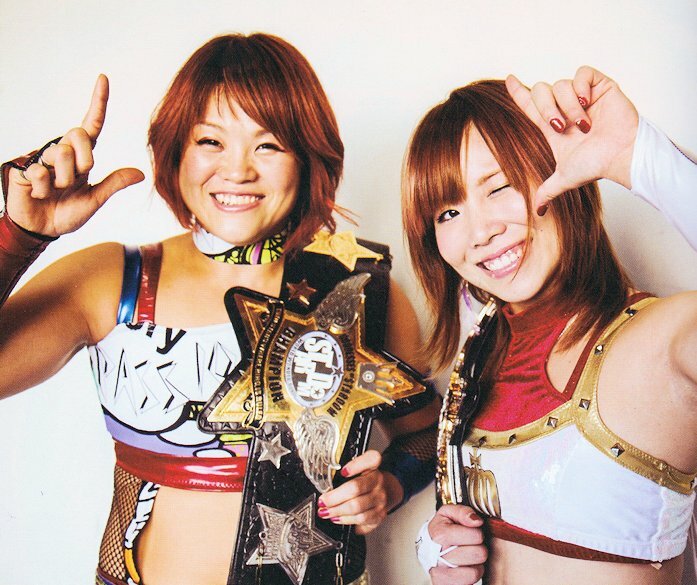 Kairi never defeated Meiko, in fact she was 0-2-1 and lost her belt to her, but their two matches in Stardom were considered two of the best matches of the year and gained Kairi a legion of new fans across the globe. It also helped set up Kairi to do what she did best as she started a long and emotional journey to try to win another singles title. Finally in 2016, Kairi did win another singles championship in Stardom, as she defeated Santana Garrett for the Wonder of Stardom Championship. She would go on to hold the belt for over a year and laid waste to a number of talented wrestlers along the way, including Viper, Nixon Newell, Jungle Kyona, and Konami. By the spring of 2017, rumors were already spreading that Kairi was leaving for WWE, and she finally confirmed in May of 2017 that she was departing Stardom. On her way out, she lost the Wonder of Stardom Championship to Mayu Iwatani, who was set to become the new Ace of Stardom. Over the course of five years, Kairi Hojo had nine total title reigns in Stardom and left as one of the most popular female wrestlers in Japan. In late June, she was introduced to WWE fans as Kairi Sane, as the next stop in her journey officially began. I have also compiled a list of Kairi Hojo matches that I would highly recommend. It is not a complete list, and a lot more great Kairi Hojo matches can be seen on Stardom-World.com, but I still think it will help new fans. As I have said before, I wish nothing but the best for Kairi as she takes on WWE. It won’t be an easy journey, but with Kairi’s ability to connect with the crowd and exhilarating Diving Elbow Drop, I have faith that she can be successful. No one knows for sure where her career will take her, but if history has taught us anything, it is to never doubt the Pirate Princess.